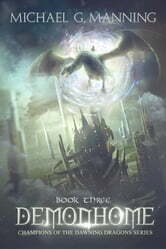 The book was really enjoyable, especially the blending of the future and past world's. really imaginative and yet tangible. It was great to have a story from Matthew’s point of view and see what he is capable of. I found for me though that there was way too much techno talk that I could not follow and was therefore not interested in. There was certainly a lot of nail biting action with impossible odds to overcome, and there was a price to pay which left heartache in its wake. Didn’t really get the title at all.